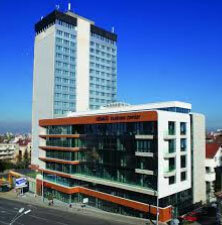 Centrally located 3-star hotel offers an incredible panorama view to the Sofia City Centre and the Vitosha mountain. The University of Chemical Technology and Metallurgy could be easily reached by public transport. Each of the 210 guestrooms at Hemus Hotel Sofia has been designed with comfort, convenience and style in mind and provides sound-proof windows, direct dial phonecable TV, mini bar, room service, bath with shower cabin, wireless internet. Exclusive conference price for single room accommodation – 35 EUR/per night. This price is valid only by booking with CIM Ltd. by filling the reservation form. It includes overnight, breakfast, taxes and Internet access per hotel policy. NOTE: By request we can offer also accommodation in lower category hotel – hostel. 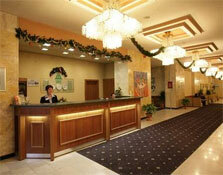 Please contact us by e-mail at milena@cim.bg and title – Hotel Accommodation Request.